Ellen Pragnell, Senior Policy Officer – Disability Discrimination Legeislation, is pleased to advise that following interviews with the three shortlisted consultancy teams, the Committee for Employment & Social Security has decided to appoint legal experts from the National University of Ireland Galway’s internationally acclaimed Centre for Disability Law and Policy: Dr Shivaun Quinlivan and Dr Lucy Ann Buckley. 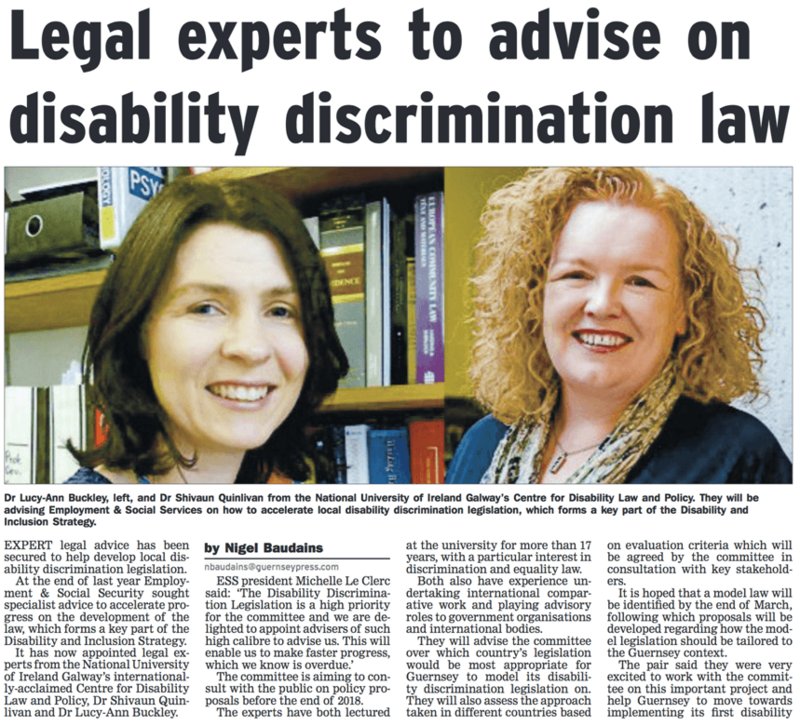 Drs Quinlivan and Buckley have both lectured in Law at NUI Galway for more than 17 years with a particular interest in discrimination and equality law and have previous experience undertaking international comparative work and playing advisory roles to government organisations. At interview, it was clear that they were extremely knowledgeable and were able to clearly articulate complex legal and policy considerations. Please find attached an extract from their proposal document which sets out how the project will be undertaken. As you will see, Project Team Members will be involved throughout the process.